In this post, I have written about a really simple Ganapati Mantra Prayoga, which can be easily performed by the parents of a naughty, badly-behaved, unruly, attention-seeking, ill-mannered, dis-obedient or rude child to remove these un-wanted characteristics from their child. The Ganesha Mantra Experiment is most simple to perform and if practiced sincerely, the parents will soon witness its miraculous effects as their child becomes well-mannered and obedient. The Ganapati Mantra Upay/Totka should be performed in the morning, while the child is bathing. 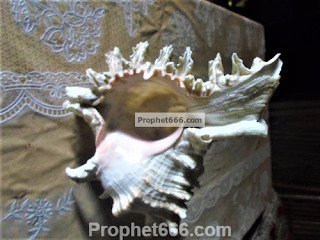 The parent should fill some bathing water in a Shankh[Conch Shell] and pour it over the head of the child and while pouring the water chant the Ganapati Mantra given below. This should be done 11 times in all continuously. 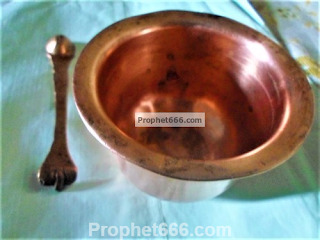 Then, after the bath, the parent should take a little bit of drinking water in a copper mug and dip the little finger of his or her right hand in the water and chant the Ganapati Mantra 21 times continuously. Then, the parent has to give that water to the child to drink. Note- There are many varieties of conch shells available in the market, there is no need to purchase a special kind of conch shell, any clean and un-damaged/splintered conch can be used for this Ganesh Mantra Remedy. The Mantra Remedy can be performed everyday with faith in Ganesha until the desired results are obtained by the parent.